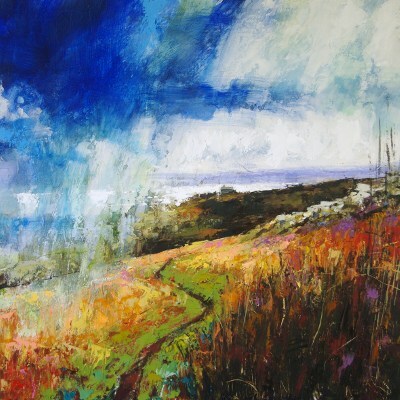 Neil Davies and Ben Catt are two of the finest atmospheric painters working in Cornwall today. Despite very different approaches and painting styles, each artist, through their work, captures both the rugged beauty and the often wild nature of the south-west peninsula. They follow in the best traditions of the Newlyn and St Ives schools of the nineteenth and twentieth centuries. This exhibition, the first joint show of their work, opened with a week at the A&D Gallery, Marylebone and resumed for a second week in Trebehor, just a couple of miles from Land’s End. The show also featured sculpture by Chris Buck and ceramics by Lincoln Kirby Bell.